In recent years, cloud computing has come a long way and it is commonly used for development and testing, high-performance computing as well as internet-facing websites and web-based applications.Many organisations are now choose to use cloud computing as a way of running applications that are mission critical. 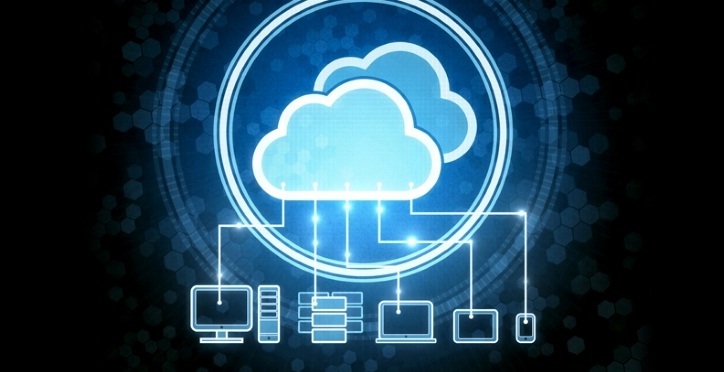 Cloud computing offers many benefits to smaller businesses as they are able to extend the business in an affordable way. The cloud model consists of a number of features that can be bought together or in batches and they enable businesses to utilise them in a way that allows them to achieve a number of different goals. The idea behind cloud technologies is that it helps businesses to simplify processes and because they are reasonably priced many businesses are now turning to the cloud model for many reasons. So if you are a small-medium business (SMB) there are some excellent used for bringing cloud computing and your business together. So here are some legitimate uses for cloud computing and real options available and many web hosting providers are now offering cloud services which have many benefits over traditional hosting. There will be minimal downtime when it comes to hot site or active configurations and although this can be expensive it would be a requirement to have a hot site that is continuously operational. From a warm or cold site requirement perspective there will be some downtime allowed but not for a prolonged period. This option comes at a lower cost and can be used as a “Pay-as-you-use” option. For Workload-based disaster recovery or business continuity there is no requirement for the whole of the infrastructure to be recovered but only selected applications or services. As this is stored in the cloud, all applications and databases along with other services can be emulated live or provided should there be an emergency. With regards to the back-up based recovery there is no concern over downtime as this is not a major factor, however, the application or workload is of high importance and needs to be recovered quickly. This is very similar to work-load based recovery as it duplicates data, applications and services to a cold VM-based backup. If required, it is possible to recover specific data or a full workload, however, this is dependent on the contract in place because this process can prove to be slower. Cloud resources, BYOD and flexibility. Taking on the “pay-as-you-go” model means that servers are not held at a co-location, instead administrators take on a pay-as-you-go model which means that servers and Virtual Machines are used only when required. This option works great for those situations where there is no use of a set workload over a long time period. By using cloud resources it means that there is no requirements to spend heavily on their internal infrastructure. This could be things such as storage, bandwidth or even virtual machines, leaving administrators to make use of the resources as and when they require them as opposed to just purchasing them. The real beauty of cloud computing is the fact that any device can be used to access data that is held centrally. Therefore, through using a public cloud environment, it enables an organisation to provision servers that will handle and supply workloads that encourage a BYOD initiative. To add to this, shops can use the cloud for testing and development and the cloud environment works for administrators who need to test out a new infrastructure and its components without the need for buying any more hardware. This is where the public cloud really words because IT environments are able to use it to test applications, methodologies and other technologies without having to foot the expensive costs that could come with adapting the infrastructure for this. It is simply a case of utilising what they need and then de-provisioning the resources which makes for an efficient form of development. If smaller organisations choose to use a cloud model they will save money because they can only use what they require. This makes it easier to budget and allows the business to grow at a faster rate. The cloud is still evolving and will improve again but there is no doubt that SMB’s can benefit from the cloud model because they can adopt new technologies and stay one step ahead of their competitors.